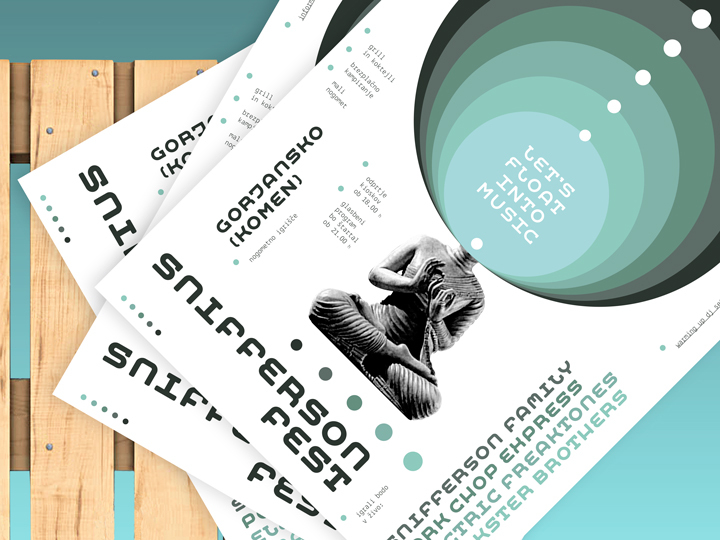 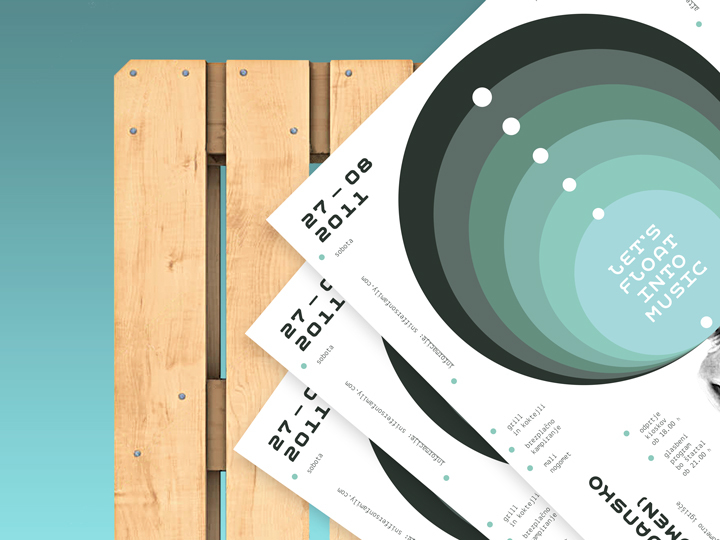 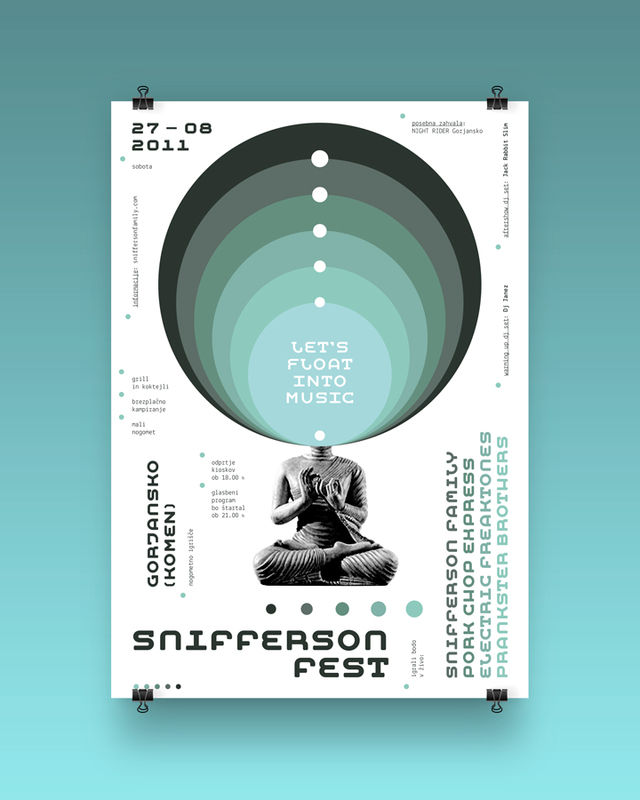 Promotional poster for the second edition of Snifferson Fest, a mini-festival dedicated to rock’n’roll music located in Gorjansko (Slovenia). 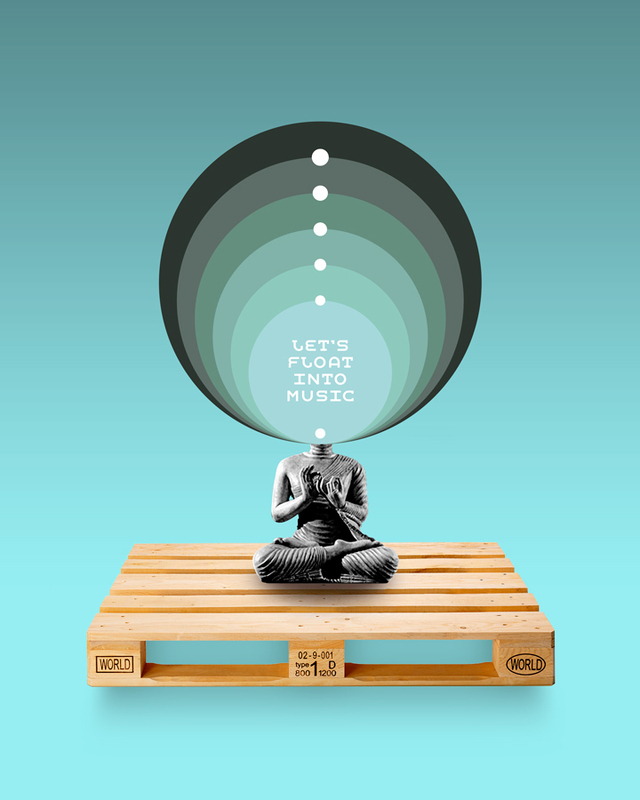 The festival is led by the idea of having such an enjoyable experience by listening to some good amplified live music in a rural and homely setting, allowing the hosts to simply float into musical notes under a summertime-in-the-shade stage and drinking some ales. 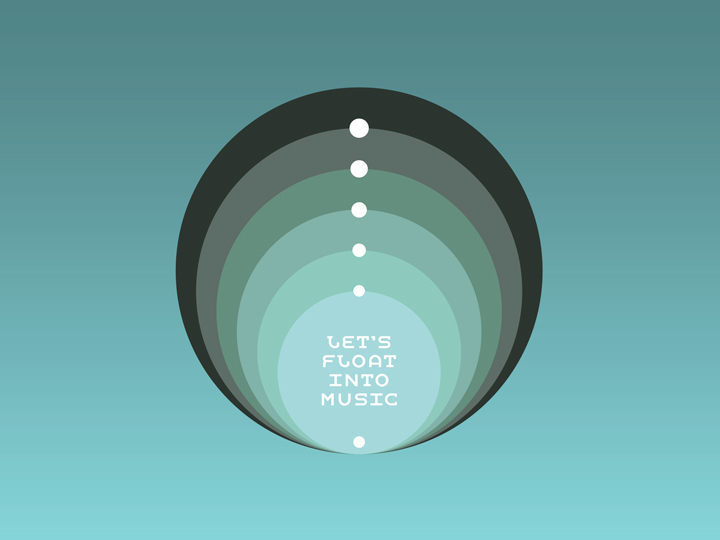 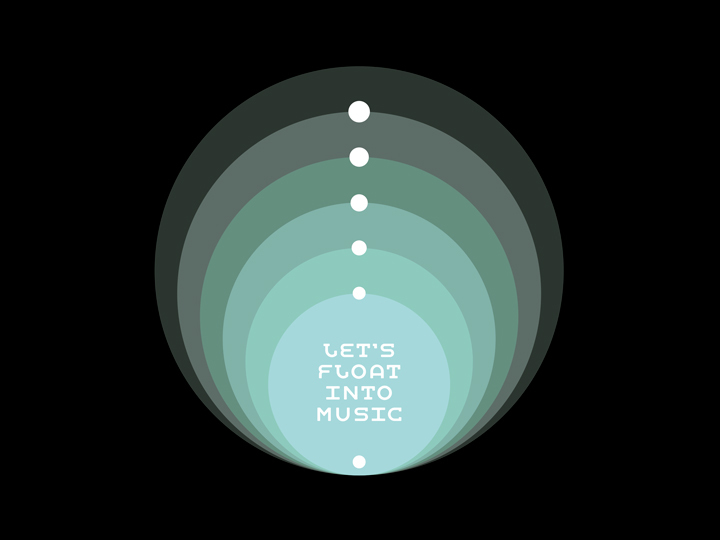 Floating into music, in fact. 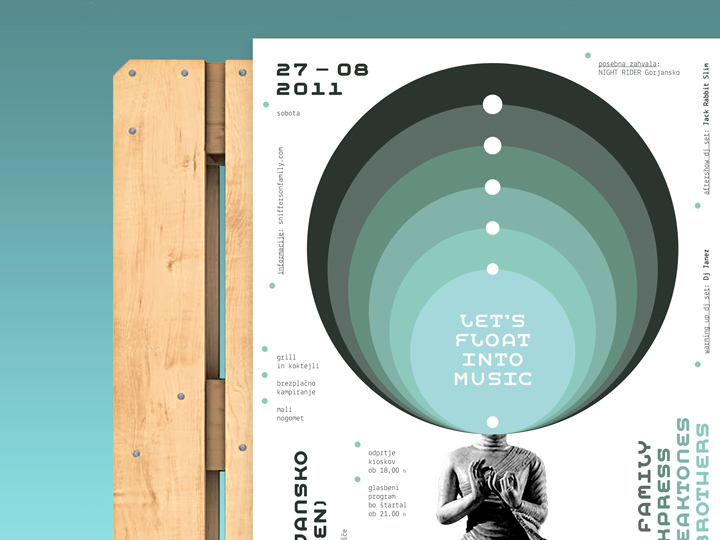 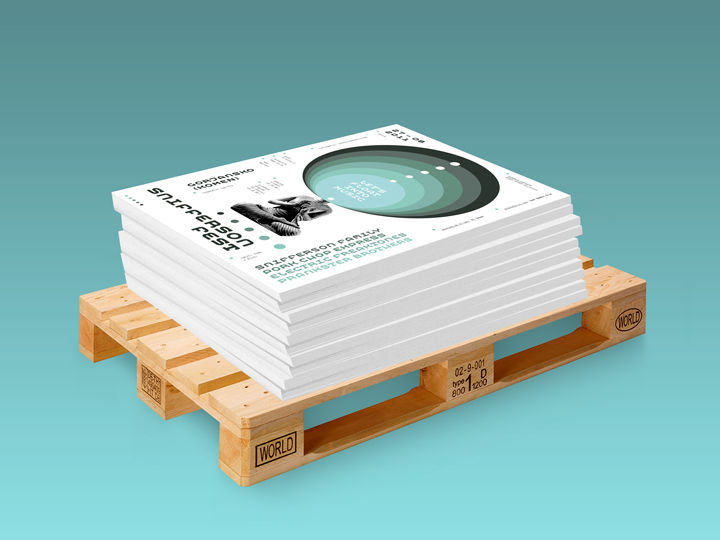 A buddhist-like mood served in a spicy rock’n’roll sauce was so the main inspiration for this design work, presented with relaxing colors, meditative iconography and a polite typographic set-up.